Unique leather belt in a unique tie dye color! 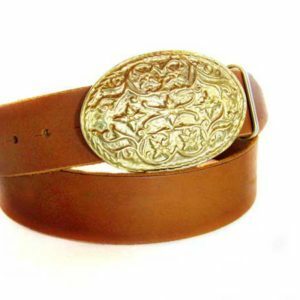 Imagine your jeans with this belt… INCREDIBLE! 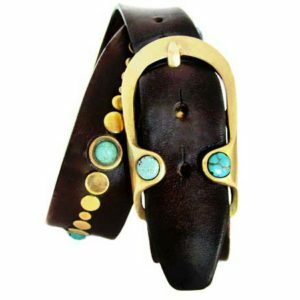 The Belt is of cowhide leather and it comes in three different colors, Black, Brown, and Blue! Choose your own!!! 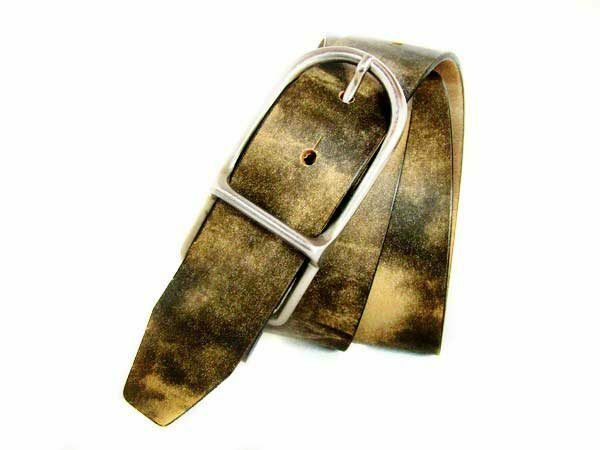 The buckle is made of solid bronze in white color (white metal plated with a special procedure to avoid allergic reactions). 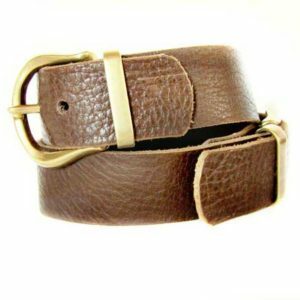 The belt is 4 cm (1,5”) wide and of course, we’ll make it to your measurements, to fit perfectly! All Tsirikaua belts are from the best quality of local leathers. Exotic leathers are all from farmed and other sustainable resources. We want you to enjoy the quality of your Tsirikaua Belt for a lifetime. So if anything happens to your belt, at any time, we will be here to fix it for you! For any questions, you may have, please, contact us! We will be very happy to help! 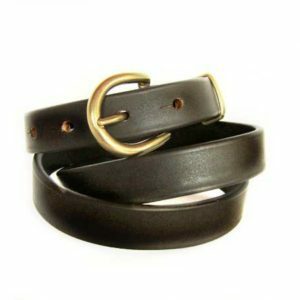 *****Since leather is a natural material, color may vary from piece to piece and as for that your belt may vary slightly in color from the sample you see in the photos. Don't miss your opportunity to save 20% on your first order! Sign up to get your instant discount!